At Intack Self Drive, we maintain a policy of constant reinvestment in the company, with the aim of continuously improving and enhancing the scope, efficiency and range of our varied vehicle rental services. So, what's the latest improvement we have made? You're looking at it! Our company has been around for a considerable amount of time and we are fast approaching our 50th birthday. During the decades that have passed, Intack has developed, grown and evolved, always remaining firmly modern yet drawing on our unmatched levels of experience and expertise. Today we present to you our brand-new company website, which has been completely revamped and re-imagined to deliver a smooth, intuitive and ultra-modern browsing experience. The number of people using a mobile device to access the internet is now higher that the number of people using a laptop or desktop for the same purpose. That's why our new website is responsive and adaptive, immediately recognising the type of device you're currently using and adapting the display to suit. This means you'll enjoy a seamless experience with us however you choose to access our website. 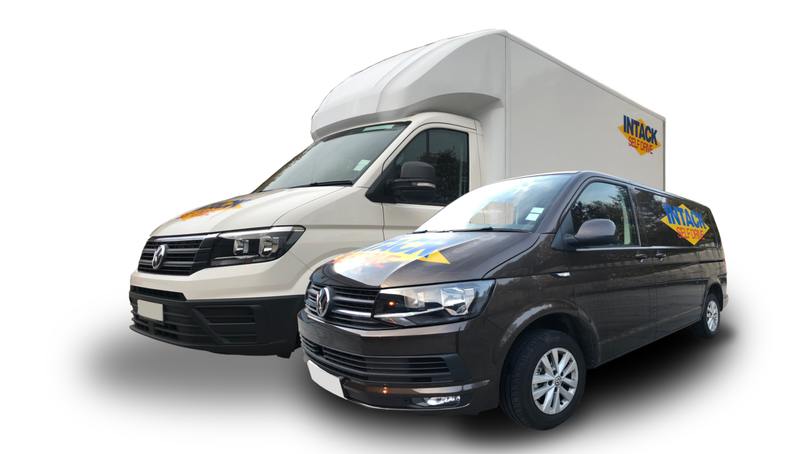 Our upgraded search function is faster and more comprehensive than ever before, allowing you to quickly find the type of vehicle you require from our extensive and ever-growing fleet. Each available vehicle is clearly pictured along with relevant features, cost price for your chosen duration and important technical details. Best of all, availability is constantly monitored and displayed in real time. As well as booking your vehicle on our website, you can also take advantage of our super-secure online payments system for total convenience. Online booking is available 24 hours a day and our Offices are open seven days a week, closing at 5.30pm Monday-Friday and 5pm Saturday and sunday. Our gates are open until 8pm 7 days a week for all vehicle returns. We invite you to browse our new website to discover everything you need to know about our vehicle rental services. As the site has been created with customer convenience and satisfaction being of prime importance, we would love to hear your comments and suggestions so please drop us an email if you can.